Smartphone company Essential, which is founded by Android co-creator Andy Rubin, has finally made official a $300 million funding round first reported in June. The funding round comes from investors including Tencent, as well as Amazon’s Alexa Fund, among others. Essential also revealed new information about its retail launch, including retail partners Amazon and Best Buy who will be carrying the phone in the U.S. 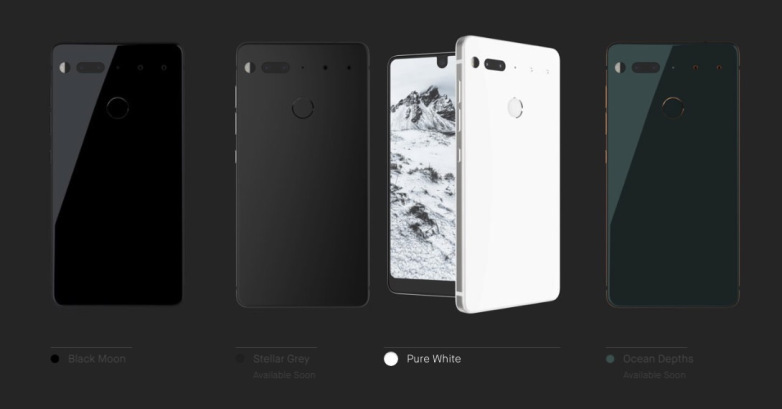 The release date itself is still somewhat mysterious, however: Essential President Nicole De Masi told the Wall Street Journal on Wednesday that it’s still “a few weeks away,” but said that the company will provide an exact date “in a week.” The Essential phone has a launch exclusivity deal with carrier Sprint in the U.S., and it also previously announced availability via Telus in Canada. De Masi told the WSJ that future international carrier options would be announced later in 2017. The smartphone startup is challenging Apple and other premium device makers with its design and premium placement, but it doesn’t have any illusions about going toe-to-toe with the current industry leaders in terms of sales in the immediate future. De Masi said that the company will consider low single digit million sales for year one “very successful,” considering that the company is a new startup. The company’s total funding is now at $330 million, and private co. share marketplace Equidate estimates its total valuation at $1 billion, though Essential itself isn’t disclosing any official valuation figures. Essential has generated a lot of hype around its forthcoming Android-based smartphone based on the pedigree of its founder and its unique design with maximizes the screen area of the device. It looks likely to face a similar design on the forthcoming iPhone 8, however, based on leaks, and other Android device makers are taking the cue and revealing screen-heavy prototypes with minimal bezels, so it’ll be interesting to see how Essential positions itself with its go-to-market strategy once the phone is actually available.